What Are the Benefits of Drinking Lemon Juice in the Morning? Drinking lemon juice in the morning is said to help you lose weight and rid your body of toxins. While these claims may be stretching the health benefits of lemon juice, adding the citrus juice to your morning routine offers some benefits, including preventing kidney stones, improving your nutritional intake and helping you up your water intake. Consult your doctor to discuss how lemon juice can improve your health. Not excreting enough citric acid in your urine increases your risk of developing kidney stones, according to a report published in 2009 in "Reviews in Urology." A 2008 study published in "Urological Research" investigated the effects of lemon juice on citric acid excretion in a small group of people with hypocitraturic urinary calcium stones. The study found that drinking 3 ounces of lemon juice, about 1/3 cup a day, was effective at helping eliminate citric acid and may serve as an alternative form of therapy for preventing kidney stones. Drinking lemon juice in the morning may up your intake of vitamin C, an important antioxidant. 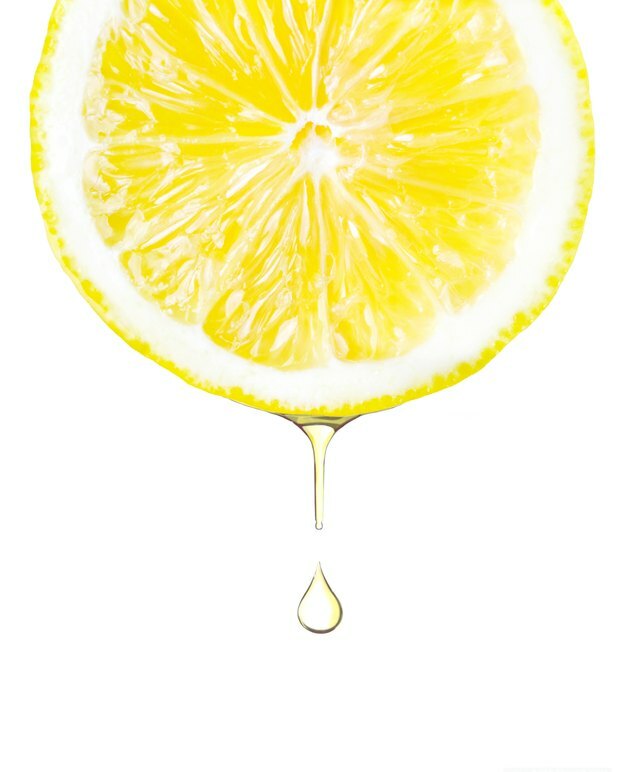 A 3-ounce serving of lemon juice contains 34 milligrams of vitamin C and only 20 calories. Men need 90 milligrams of vitamin C a day, and women 75 milligrams. As an antioxidant, vitamin C protects your DNA from free radical damage, which may help slow down aging and lower your risk of certain diseases such as cancer, arthritis and heart disease. Water is a good calorie-free choice for hydration, and many Americans may not be drinking enough, according to a 2013 study published in "BMC Public Health." Clemson Cooperative Extension recommends you start each day with a glass of water to help up your intake. If you have a hard time drinking plain water, adding lemon juice for flavor to your morning glass may help. Despite the claims, adding lemon juice to your morning routine does not help you lose weight or detox your body, according to dietitian Juliette Kellow. To lose weight, you need to eat fewer calories than you burn. There's no scientific evidence to support claims that lemon juice, or any other food or drink, improves your body's ability to eliminate toxic substances, according to KidsHealth.